The sun has finally begun breaking through the cold and dreary clouds (hopefully for good). If you’re anything like us, the workday is done and the only thing left to do is the meal plan for the coming days. While you’re here why not enhance your fabulous cooking with the tastes of Spring? It’s our experience that in-season fruits and vegetables become the stars of the menu. During the spring this includes organic blueberries, navel oranges, grapefruit, mandarins, and lemons. Each of the following recipes has been hand-picked to showcase one of the in-season fruits listed above. We hope that they inspire you to try something new! If these don’t pique your interest don’t fret; we encourage you to look up recipes that help you cook with your personal favorite fruits. Outside of these options is an entire world of recipes that infuse fresh fruits, the five we are about to share simply scratch the surface. Go forth and feed your family with a fervor that only the air of spring can provide. If your mornings are still blanketed by a deep chill before the afternoon warmth arrives you may benefit from a hearty, filling, and belly-warming breakfast. Just like breakfast from your childhood; oatmeal covers all the bases from temperature to texture, and finally, it’s nutrients. When the blueberries have been incorporated and cooked to perfection there’s nothing left to do except get grab a second serving. Although the navel orange season technically begins in the dead of winter there’s no arguing one simple fact: oranges taste like spring. They’re bright, cheery, sweet, and tart enough to be a complex yet mysterious flavor; especially alongside the complementary pairing of rosemary and pork. 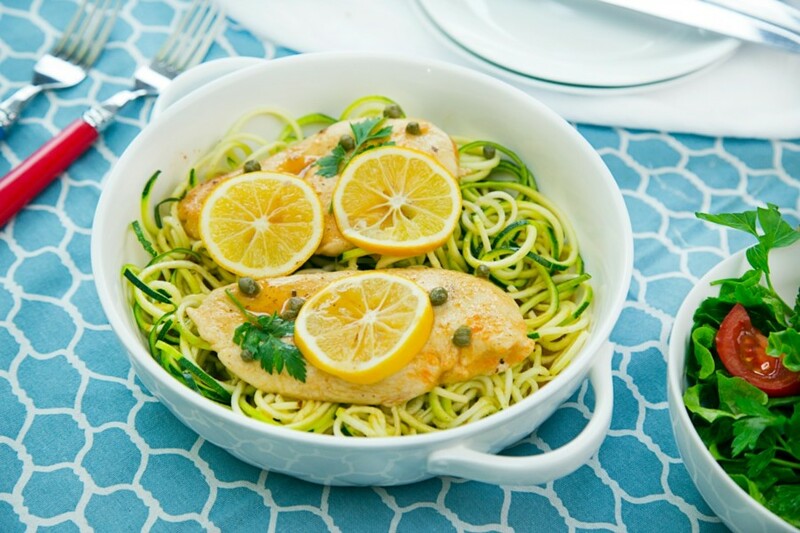 If you’ve enjoyed this meal we encourage you to try other savory meals that incorporate citrus. You’ll be pleasantly surprised time and time again. This cashew chicken recipe variation is perfect for the nights you need something light while keeping complex flavors alive. When prepared in this way, cashew chicken is perfect for impressing guests during even the most special of occasions. The flavors are wonderful, the presentation is beautiful, and the finished product holds enough potential to bridge the gap between the pickiest of eaters and the most dedicated of citrus fans. It’s always exciting when the entire brood enjoys what’s on their plate. There is more to this chicken salad sandwich than meets the eye. Imagine a sandwich that evokes memories of the best sights, sounds, and feelings of the season. All of the classic ingredients make an appearance including basil, sliced almonds, and last but not least the tender chicken. The mandarin oranges (and juice) are key, but what they create together is the perfect homage to classic comfort food. Mandarins add that little something extra which helps this chicken salad recipe graduate from good to fantastic! Both capers and zoodles are eye-catching in their own right and are also highly sought after ingredients. As a whole, this recipe’s flavors are well-balanced. It also happens to be a recipe that’s fun to create alongside your family, not just for your family. 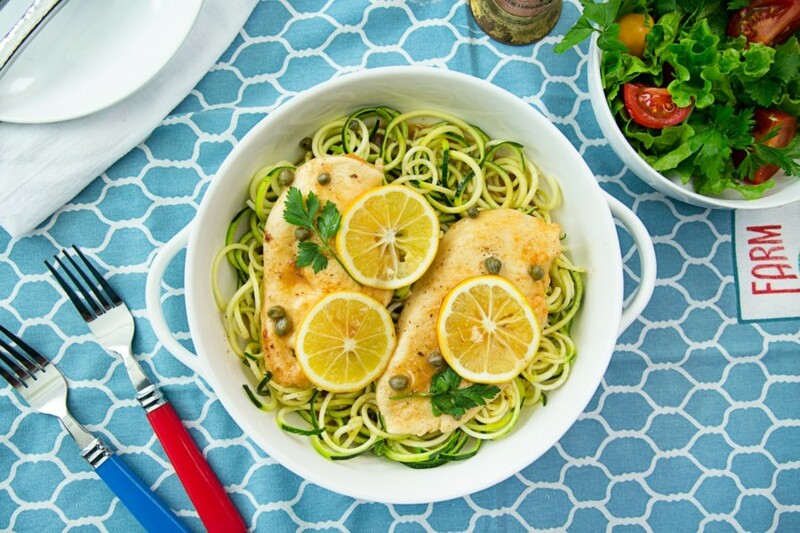 In our experience, the little ones are often hypnotized by the process of creating zoodles. No matter the flavor profile you seek, make it a habit to look to what’s fresh and in-season. This way your inspiration renews automatically with each coming month. Cooking with fresh ingredients places a well-deserved spotlight on fresh flavor and helps you discover new meal ideas. Ones you may not have experienced otherwise! For more menu planning inspiration visit our recipe box, and let’s connect on Facebook, Twitter, and Instagram! Next PostHow Do Organic Seedless Navel Oranges Exist?